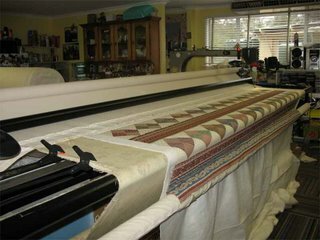 I have run away from home for a few days, and I'm staying with my friend Kaye and quilting some quilts on one of her Statler computerised longarms. 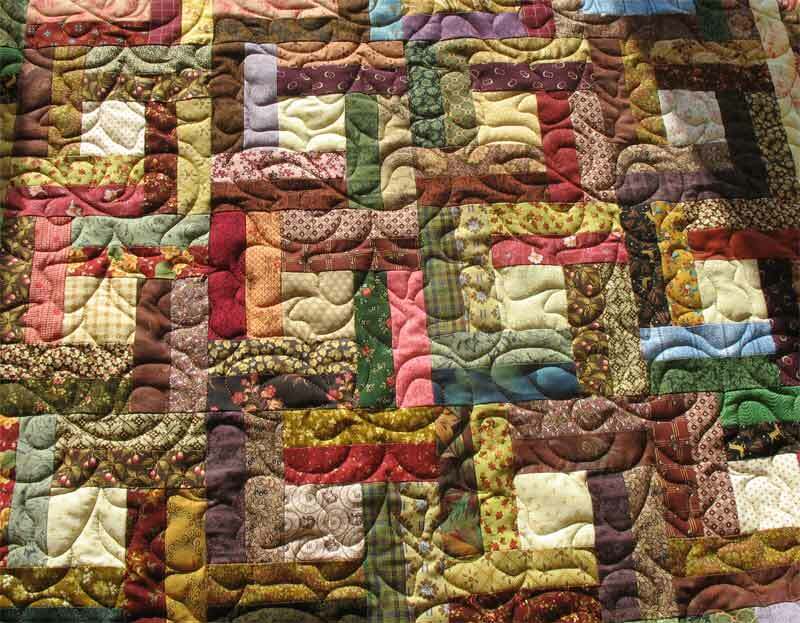 Her workshop is a place of wonders, a little slice of quilting heaven. 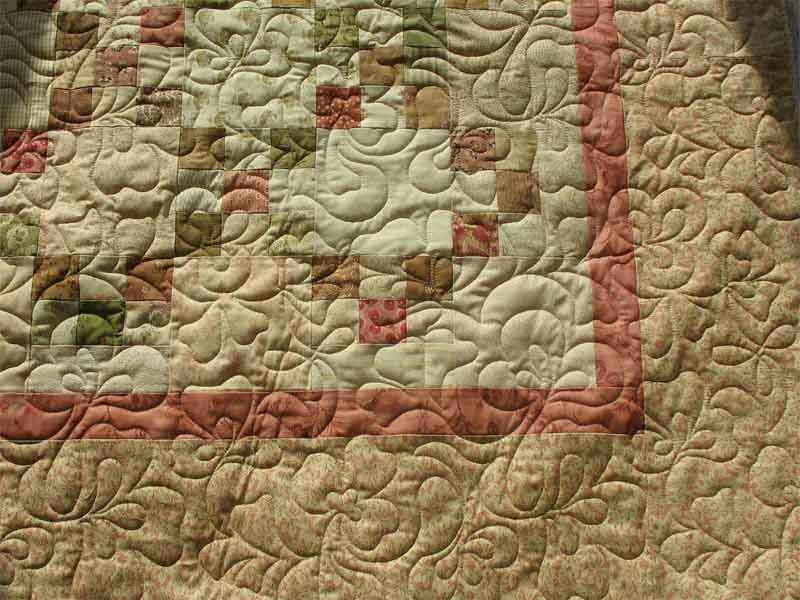 I needed to catch up with the latest developments and get some of my tops quilted. 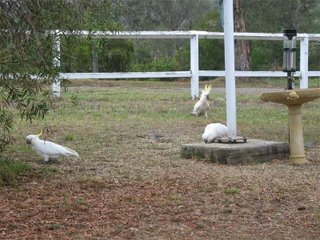 It's a nice break, and I'm enjoying the bushland setting, and the wildlife. 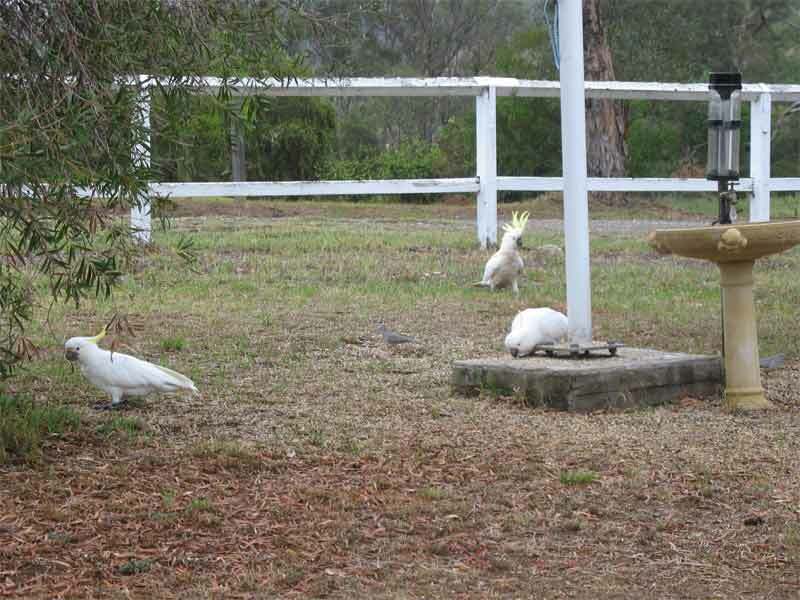 These are some Sulphur Crested Cockatoos that come in for a feed each morning. There were 12 of them there yesterday, quite a gathering. There were kangaroos about early this morning, but I didn't get my camera in time. It's actually been raining on and off since I got here, which is most welcome. The hills and fields here are so dry they look dark red and sunburnt, it's hard to believe that they will ever green up again. Water is a real worry for most Australians these days, Sydney has only a 2-4 year water supply if the normal rain pattern doesn't resume. This drought is very damaging. I've tried out some new patterns, and I'm designing more, and just having a nice time of it. I will get home just in time to do the last minute Christmas stuff, and then relax and wait for the day. My treat to myself at Christmas is to do a few jigsaws and let everyone else take care of themselves. The pattern on the Double Weave top is from my Pantograph Plus pack, and doesn't have a name yet. 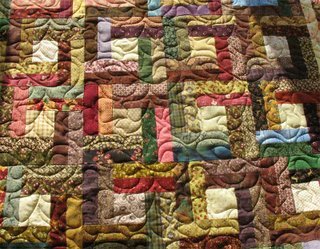 The pattern on the Single Irish Chain is Clover Meadow, which is still my favourite pattern. 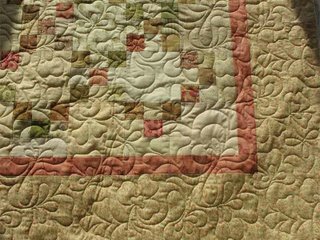 I just love the way it quilted up on this quilt; it's exactly the way I imagined it. Time for lunch and more coffee, then it's back to work. Sometimes you have to get away from everyday life to get something achieved.